Checking out the anatomical models available at the Hirsh Health Sciences Library. 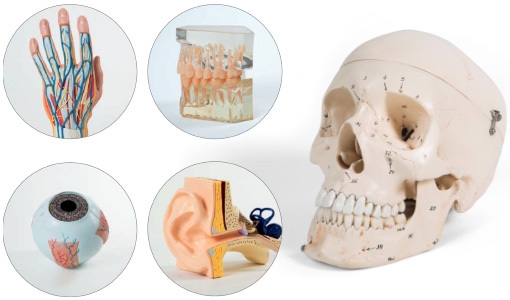 Did you know that students can check out anatomical models from the Hirsh Health Sciences Library? There are 42 body parts available for four-hour loans, including three pelvises and one knee. The library’s skulls—the most in-demand item—were checked out a total of 189 times in October alone. Some are plastic and labeled, with or without attached muscles. Others are real.